Draft: 2013, Arizona Diamondbacks, 2nd rd. Originally selected by the Arizona Diamondbacks in the 2nd round (52nd overall) of the June, 2013 First Year Player Draft...Graduated from Terrebonne (La.) High School...Won the Home Run Derby at the Perfect Game Showcase at Petco Park in 2012...Grew up with extremely limited means, leaving him unable to participate in many extracurricular activities due to cost...Relied on his travel coach, Chad Raley, to take him to tournaments and provide necessary equipment...Believes Chad was a big reason he was noticed by scouts...Developed his love for baseball by hitting rocks or foam footballs with a broomstick handle. From there, the game's coupling of physical ability with intelligence drew him in...Attended the MLB Rookie Career Development Program in Washington D.C. in January 2018 along with Rays teammates 1B Jake Bauers and RHP Ryan Yarbrough...Resides in Houma, Louisiana. Played in 115 games between Durham (AAA) and Memphis (AAA) combining to bat .252 with 11 HR, 57 RBI and 21 doubles...Made his Major League debut for the Tampa Bay Rays vs. MIA (7/21) and grounded into a double play while playing 2.0 innings in the outfield and recorded one put-out....Was acquired by the Cardinals from the Tampa Bay Rays along with RHP Roel Ramírez and LHP Génesis Cabrera for OF Tommy Pham and International Cap space at the trade deadline, July 31, 2018...Named an International League Mid-Season All-Star...Entered the Triple-A All-Star Game in the 6th inning and played right field. Was 0-for-2 in the game...Led the International League with 13 outfield assists despite playing in only 82 games....Totaled 17 outfield assists on the year including four in Memphis...Had a season-high 11-game hitting streak (6/22-7/2) batting .347 (17-49) with 10 RBI...Ran off an 11-game road hitting streak (6/22-7/18), T-2nd longest on Durham, batting .354 (17-48) during the stretch...Went 4-for-5 with two doubles, a home run, three runs scored and three RBI, missing the cycle by a triple vs. Indianapolis (5/19)...Recorded three hits in the 2018 Pacific Coast League playoffs appearing in eight games. Had an RBI in the Triple-A Championship game. Named Most Valuable Player for Double-A Montgomery by the Rays Baseball Operations department…spent the entire season with the Biscuits, recording a career-high 14 HR, 72 RBI, 37 BB and 53 runs... Ranked 2nd among Rays minor leaguers in home runs, one shy of Jesús Sánchez…finished 3rd with 72 RBI, behind Sánchez (82) and Brett Sullivan (74)…his .301 avg. was 7th among Rays minor leaguers and marked the third time in five minor league seasons he hit .300 or better... Named to the Southern League postseason AllStar Team…finished the season ranked 4th in the SL in avg. and 3rd with a .489 SLG... Missed nearly all of May with a left knee contusion…was on the disabled list from May 5-29... Named the Rays Minor League Hitter of the Month for August, batting .333/.411/.677 (31-for93) with 8 2B, 8 HR and 28 RBI... Totaled 3 HR and 6 RBI on Aug 30 vs. Mobile (Angels)…it was the second 3-HR game in Biscuits history, joining Tyler Goedell in 2013... Was called up to Triple-A Durham for the International League playoffs…hit .333 (4-for-12) with 1 2B and 3 BB in 4 games... Named to the Rays Organizational All-Star Team by MLB.com... Ranked by Baseball America as the No. 8 prospect in the Rays system and No. 16 prospect in the SL following the season. March 25, 2019 St. Louis Cardinals placed LF Justin Williams on the 10-day injured list. Right hand 2nd metacarpal fracture. October 1, 2018 St. Louis Cardinals recalled LF Justin Williams from Memphis Redbirds. July 31, 2018 LF Justin Williams assigned to Memphis Redbirds. July 22, 2018 Tampa Bay Rays optioned RF Justin Williams to Durham Bulls. July 21, 2018 Tampa Bay Rays recalled Justin Williams from Durham Bulls. March 11, 2018 Tampa Bay Rays optioned RF Justin Williams to Durham Bulls. November 20, 2017 Tampa Bay Rays selected the contract of Justin Williams from Durham Bulls. September 12, 2017 RF Justin Williams assigned to Durham Bulls from Montgomery Biscuits. May 30, 2017 Montgomery Biscuits activated RF Justin Williams from the 7-day disabled list. May 9, 2017 Montgomery Biscuits placed RF Justin Williams on the 7-day disabled list. February 26, 2017 OF Justin Williams assigned to Tampa Bay Rays. July 17, 2016 RF Justin Williams assigned to Montgomery Biscuits from Charlotte Stone Crabs. May 20, 2016 Charlotte Stone Crabs activated OF Justin Williams from the 7-day disabled list. April 22, 2016 Charlotte Stone Crabs placed OF Justin Williams on the 7-day disabled list retroactive to April 21, 2016. March 17, 2016 OF Justin Williams assigned to Tampa Bay Rays. August 11, 2015 OF Justin Williams assigned to Charlotte Stone Crabs from Bowling Green Hot Rods. April 6, 2015 OF Justin Williams assigned to Bowling Green Hot Rods. November 14, 2014 Tampa Bay Rays traded RHP Jeremy Hellickson to Arizona Diamondbacks for SS Andrew Velazquez and OF Justin Williams. August 3, 2014 Justin Williams assigned to South Bend Silver Hawks from Missoula Osprey. June 16, 2014 LF Justin Williams assigned to Missoula Osprey. August 28, 2013 LF Justin Williams assigned to South Bend Silver Hawks from Missoula Osprey. August 14, 2013 Justin Williams assigned to Missoula Osprey from AZL D-backs. June 20, 2013 Justin Williams assigned to AZL D-backs. 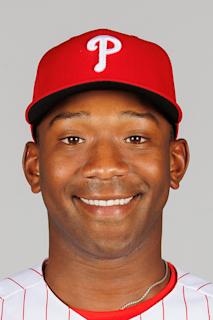 June 19, 2013 Arizona Diamondbacks signed SS Justin Williams.